This is a tale of music. It is also a tale of two Melissas and two Alans. We started shooting and I asked him how he was enjoying the music. 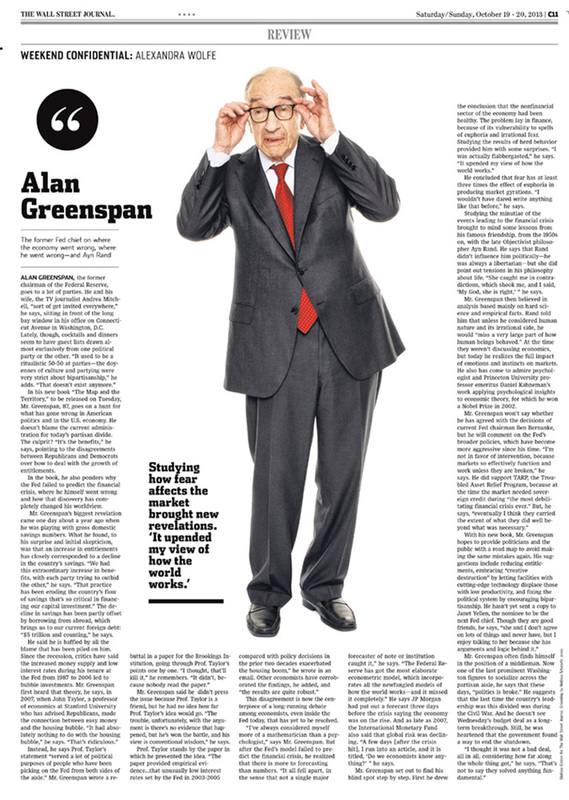 “What music?” he asked and my assistant, Alan, and I realized that Mr. Greenspan couldn’t hear it. We pumped up the volume and a sort of tidal change washed over him. 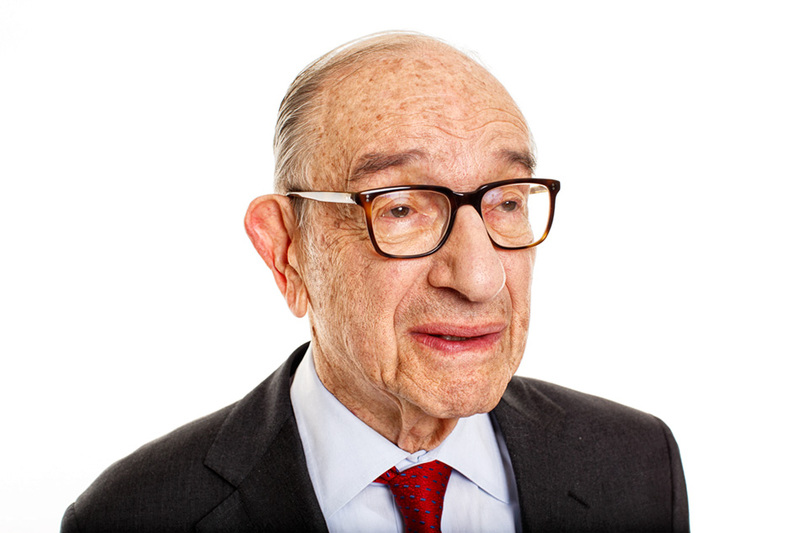 At one point, Moonlight Sonata started playing and Mr. Greenspan hummed along, swaying a bit. Music hath charms. Posted on 10/28/2013 by Melissa Golden. This entry was posted in On Assignment, Portrait, Wall Street Journal and tagged Alan Greenspan, DC, On Assignment, Portrait, wall street journal. Bookmark the permalink.